One wrong label in a user interface can have a big impact on both usability and the perceived quality of your software. Finding the right words in English can be a struggle, but localizing user interfaces also requires finding the right word in ten or more languages from around the globe. As the user interface evolves and labels change, keeping translations up-to-date in both the applications and supporting documentation becomes a challenge. 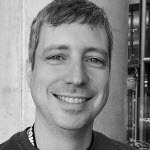 In this session, Darin Walsh will present a custom content management solution aimed at managing localization of software while keeping references to the interface in supporting documentation synchronized. Attendees will see higher-level process designs and take a peek into the underlying XML database technology while discussing the common problems and solutions available to us for managing terminology localization workflows.